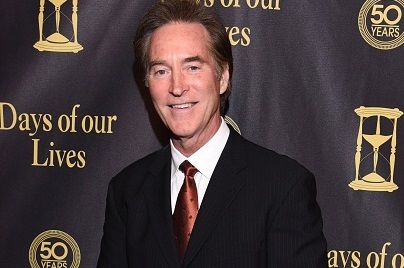 Longtime Days of our Lives fan favorite Drake Hogestyn, who plays John Black on the NBC soap opera since 1986, has been sidelined by injuries he sustained on the set. According to a source familiar with the situation, Hogestyn was "severely injured at work about six weeks ago and due to the many injuries he sustained, he has been written out of the show for an unspecified period of time to allow him to heal from his injuries." We Love Soaps reached out to the Days Public Relations team for a comment but there has been no response to date. We will post an update if new details of Hogestyn's work injury become available. Meanwhile, we'll be sending positive thoughts his way, and wishing for a speedy recovery. Hogestyn is the reigning favorite actor of the week in our Soap of the Week poll, and regularly occupies the top spot. Now the truth is out. He didnt fall from a tree at home. Why would Days put out such a statement??? Days didn't put out the statement - a gossip magazine did. I think it was Celebrity Laundry. I miss you on Days sooooo much!! Take care of yourself, that is whats most important. God Bless you and give you a speedy recovery!